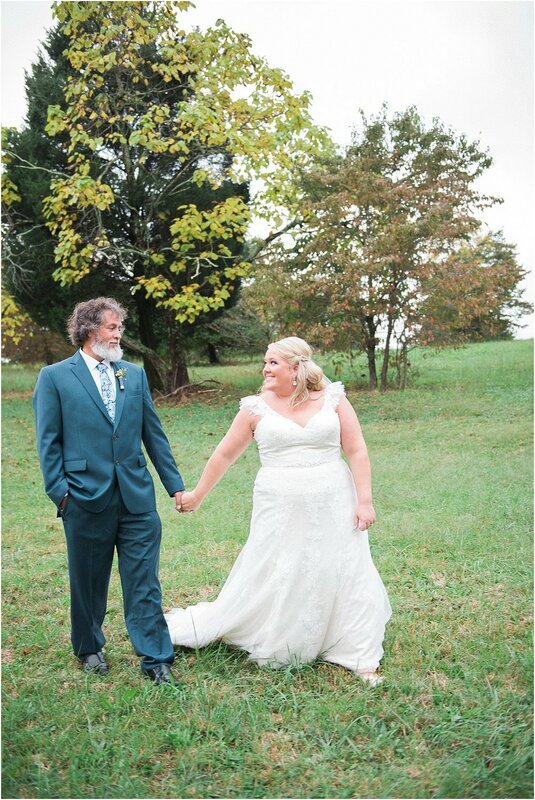 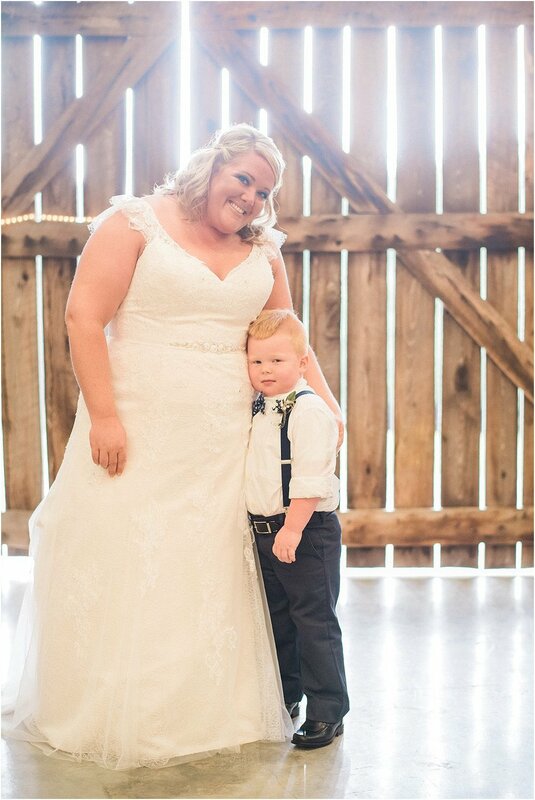 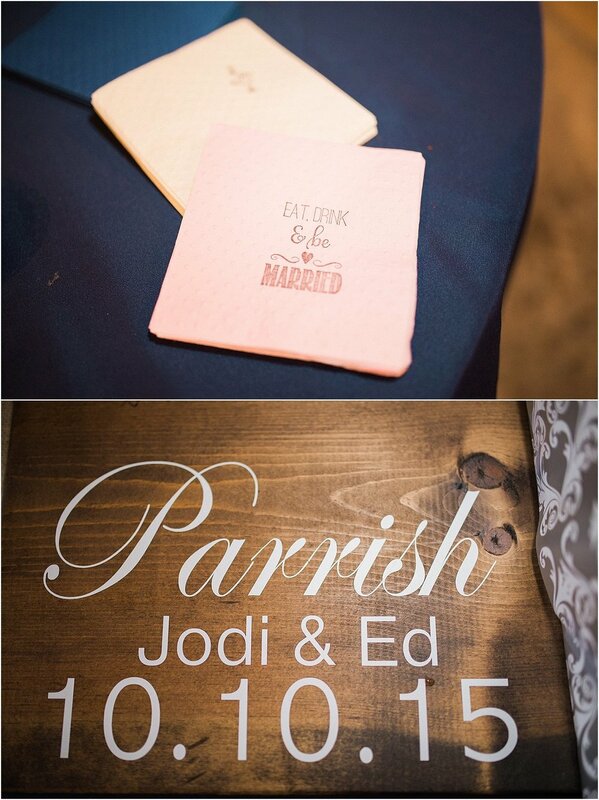 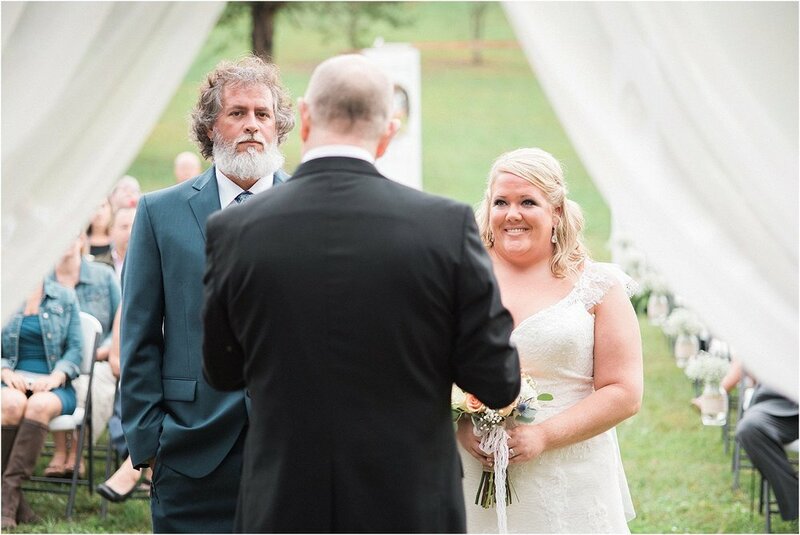 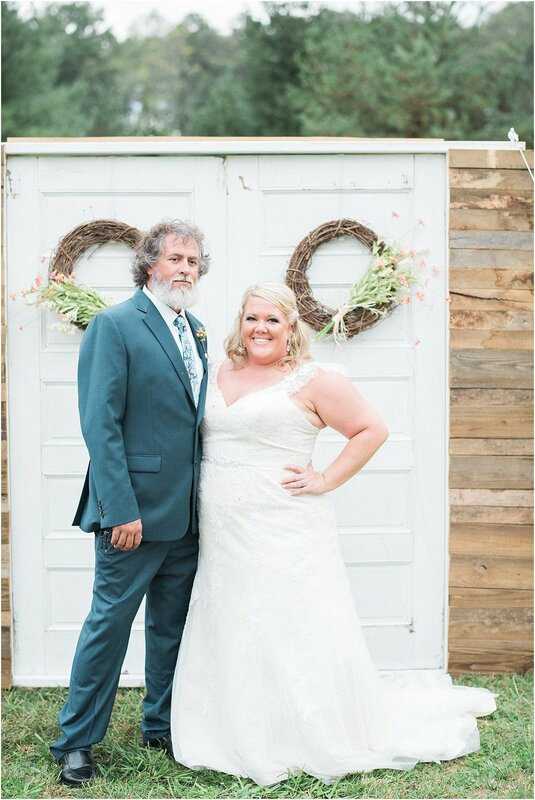 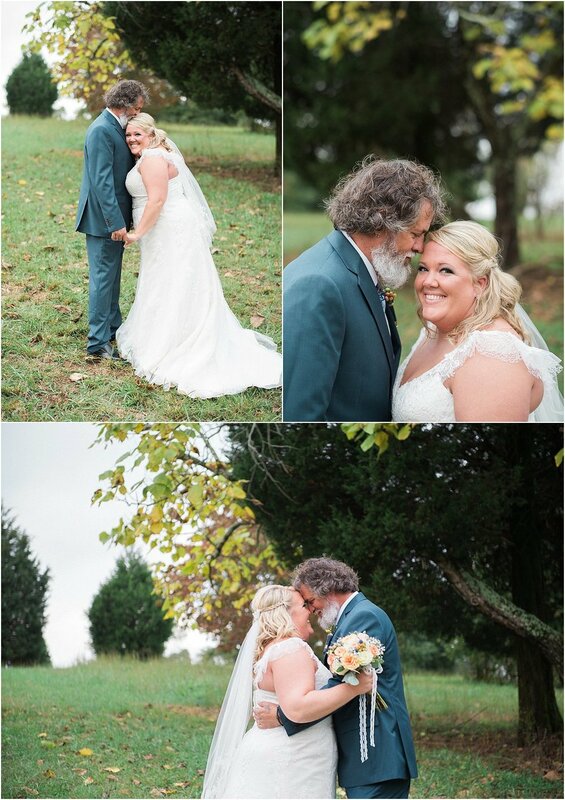 Jodi and Ed's special day took place at The Hobbs Farm in Loudon, Tennessee. 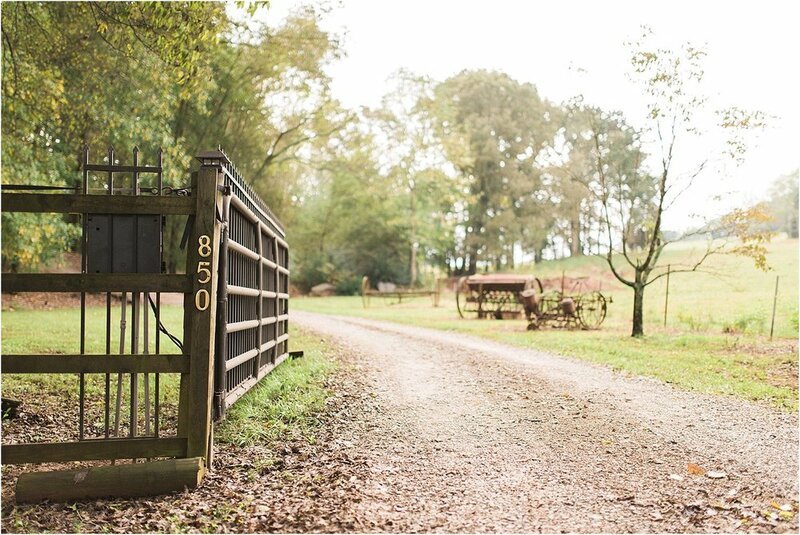 This gorgeous venue features a lovely, hidden outdoor ceremony location as well as a spacious barn for a unique reception experience. 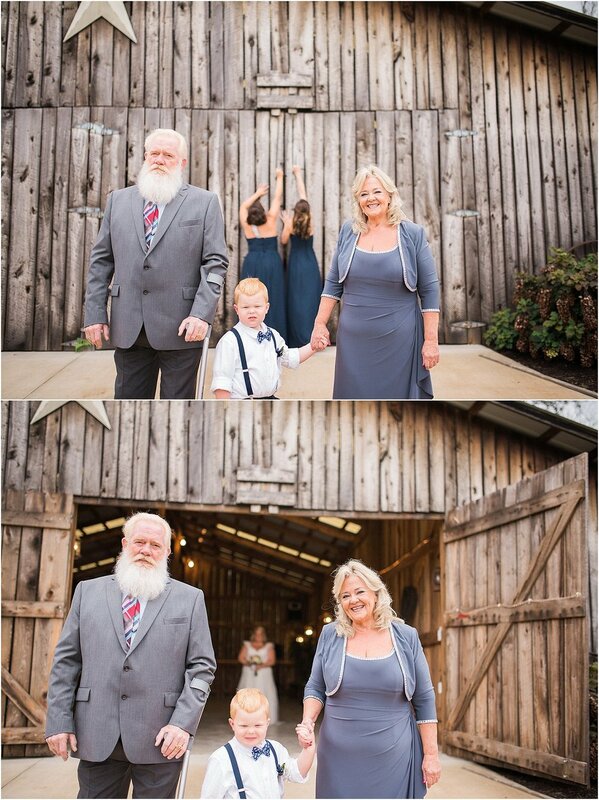 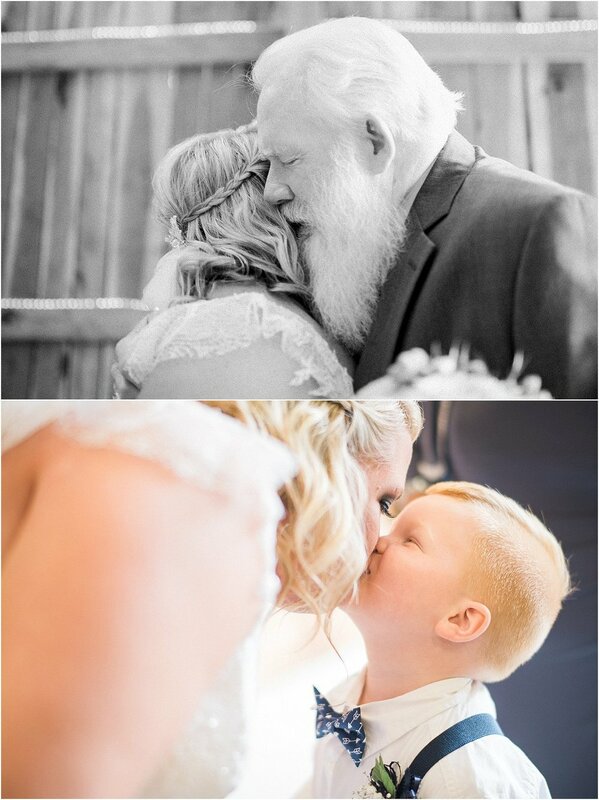 We absolutely loved the incorporation of a first look between Jodi, her mother, father, and adorable son. 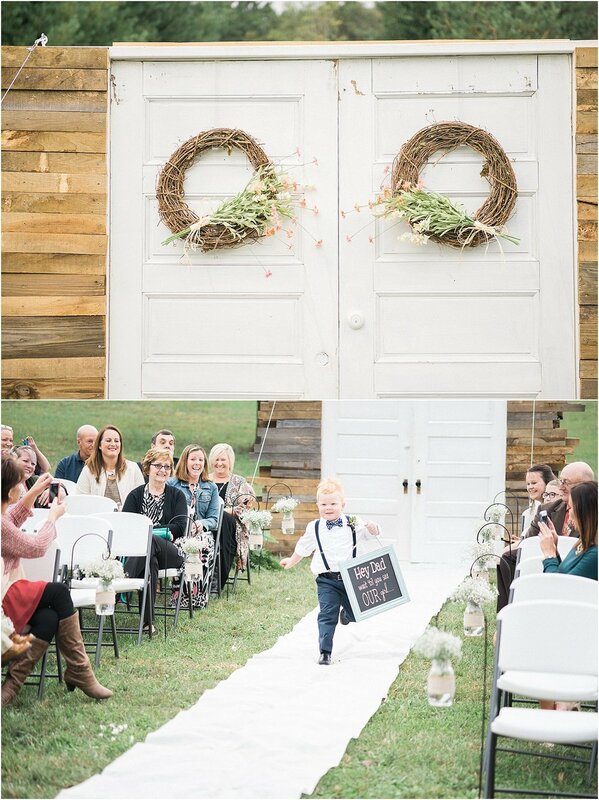 This was such a sweet moment along with Jodi opening special gift from Ed prior to the ceremony, a beautiful silver necklace embellished with the word "Mrs." Little country touches with mason jars, a draped pergola, and stunning wooden doors adorned with wreaths for the entryway, set the scene for the perfect outdoor ceremony on a fall afternoon. 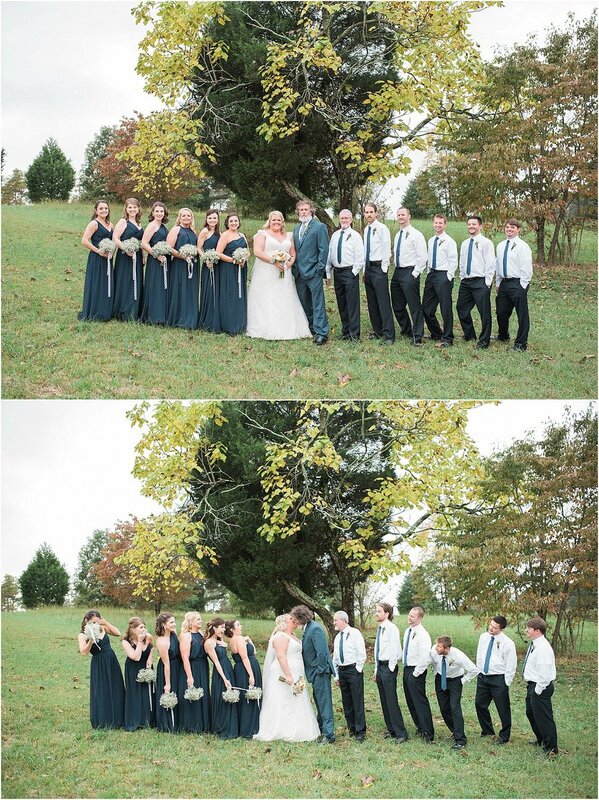 The bridesmaids' beautiful navy blue dresses were accented with simple bouquets of baby's breath, and we loved Jodi's elegant floral arrangement incorporating timeless peach roses. 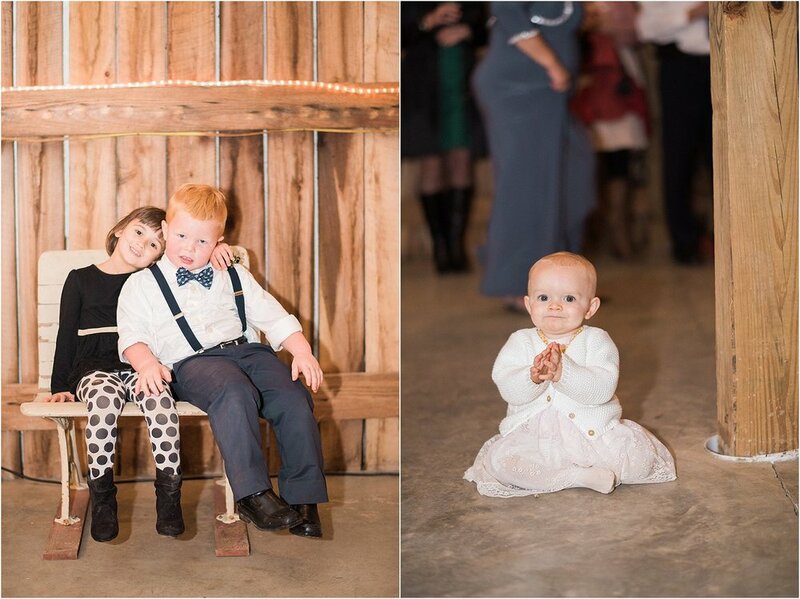 This group was a ton of fun the entire day, posing and joking throughout the photos, but we most enjoyed our time with them as they cut a rug on the dance floor the entire evening. 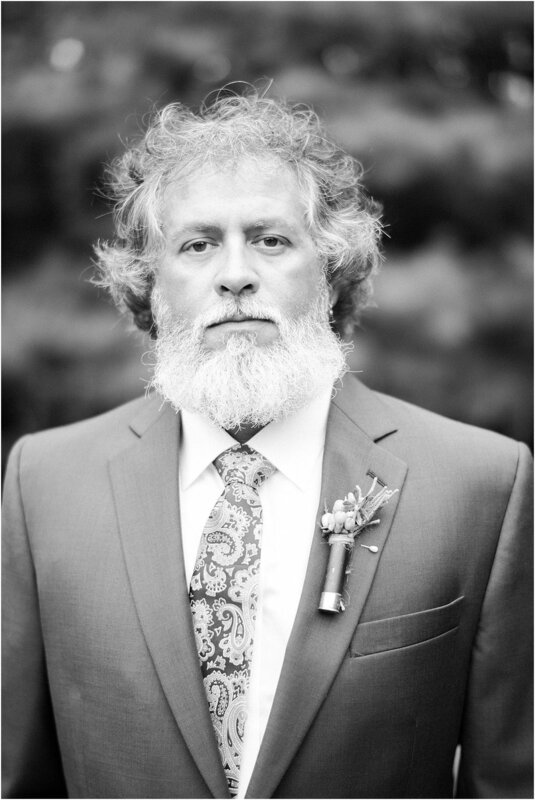 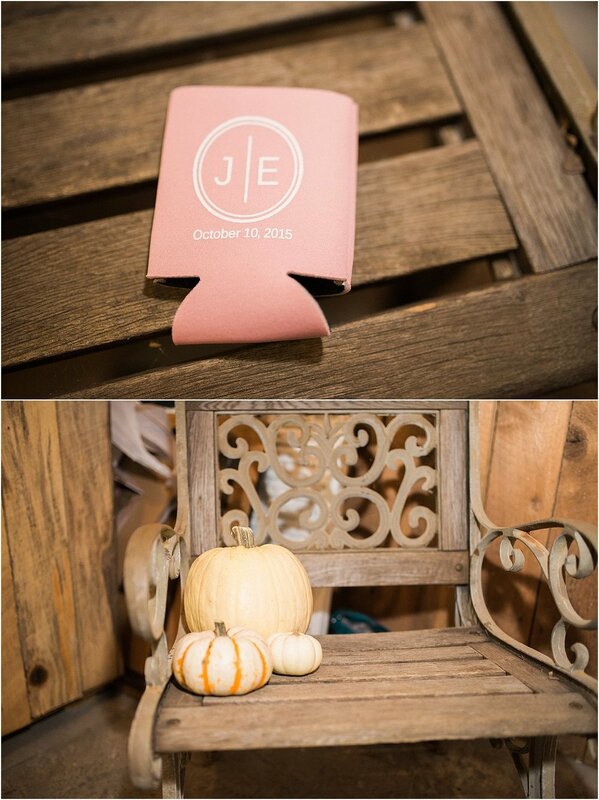 We hope you enjoy this rustic, fall wedding as much as we did, and wish Jodi and Ed a big congratulations with us!